Samsung Mobile Nigeria Buy and Win Contest. 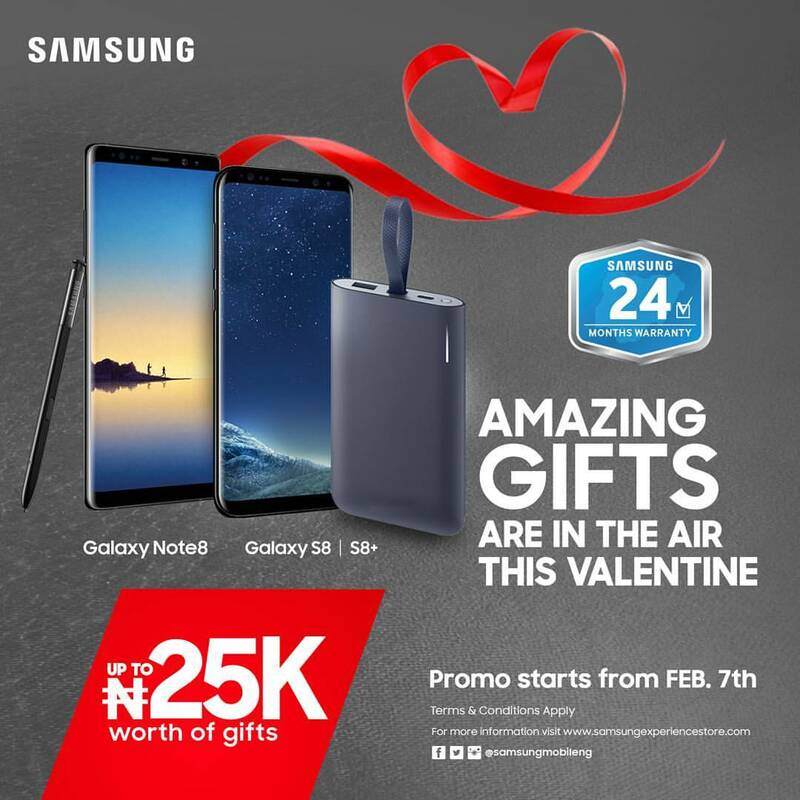 Buy a Samsung Smartphone from February 07, 2018 and get up to NGN 25,000 in FREEBIES an in participating stores nationwide! 1. Get a FREE Samsung Level U, if you buy a Samsung Galaxy J5 Pro, J7 Pro, J5 Prime, J7 Prime, or A8+ from the participating stores between February 7th, 2018 - February 28th, 2018. 2. Fast-charge battery pack (power bank), if you buy a Samsung Galaxy Note 8, S8, or S8+ from the participating stores between February 7th, 2018 - March 31st, 2018.